If like me you seem to spend a lot of money buying soil improver, composts, mulch, and paying the council to take away green waste then it’s time to consider home composting. 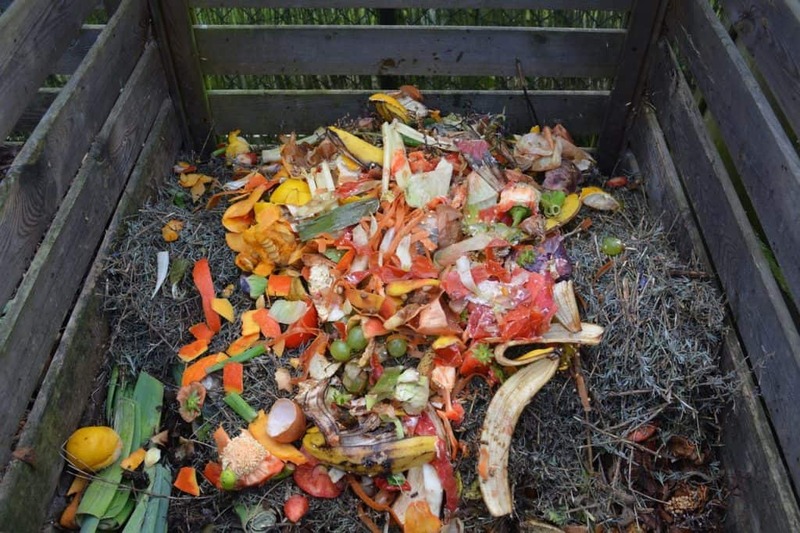 Home composting is a great environmentally friendly way to get rid of your waste and save money, and contrary to what some may think, it isn’t dirty and smelly. A well managed compost heap or bin will have a lovely earthy smell. It’s easy to compost your food and garden waste once you know a few tricks about stacking, turning and what you can compost, so don’t be put off by tales of smells and pests – when it’s done properly home composting is a joy. Compost is broken down and decayed organic matter. Composting is a natural process – it’s the circle of life so to speak. All organic life-forms are broken down by fungi, bacteria and microorganisms and then reabsorbed by the earth. 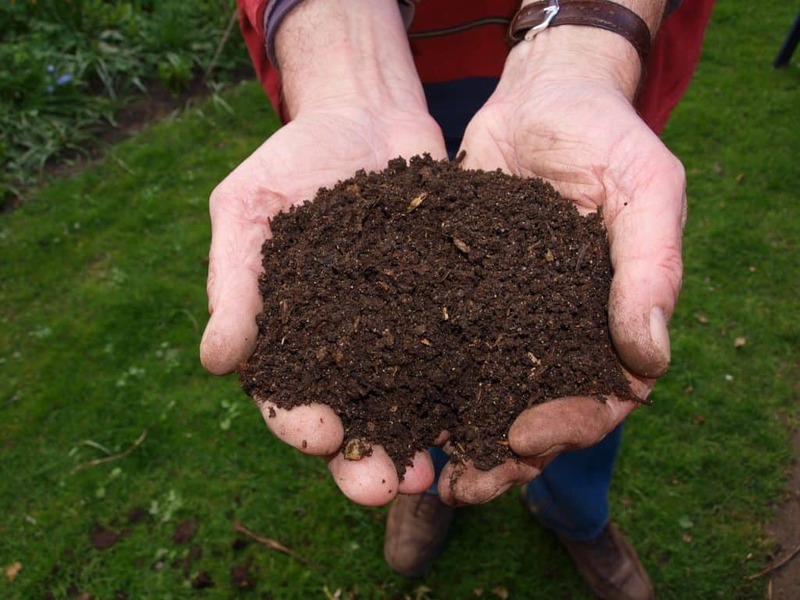 Gardeners call fresh home-made compost ‘black gold’, and plants love it because it’s full of nutrients and it’s crumbly so their roots can easily move through. Compost also helps retain moisture and preserves the soil structure. Why Should I Start Composting? If the price of ready-made compost doesn’t make your eyes water (how many bags to fill the raised bed?) then here are some other convincing reasons. No more buying back the green waste you already paid the council to take away. Composting is just great for the environment as it provides a food source, builds soil microbes for a healthy environment and has no carbon footprint. It’s a gentle slow release fertiliser that won’t burn plants or make them leggy. We’re getting a bit ahead of ourselves here, but it’s important to know what you can do with compost before you make it. On its own compost dries out quickly and it’s light in texture so roots can’t get a stable grip. The best way to use your home made compost is mixed with existing topsoil or as a good thick layer of mulch for existing plants. Keep watering if you choose to plant a container up with any type of compost as it dries out very quickly. Firstly check out my guides! There may be an obvious spot in the garden for a bin or heap, and that will do just fine if there’s no choice. If you have a choice then look for somewhere with a stable temperature so the fungi and bacteria can work consistently. Shade is often best. Compost heaps and bins need an open floor so they can drain and let in all the lovely soil organisms. You’ll struggle on a hard paved surface. If you have space there’s no need to buy a compost bin. Hammer four posts into the ground at least a cubic metre in size and tack wire netting or wood around them. Make the front one accessible so you can shovel out the black gold without lifting too much. Compost will be found at the base of the pile. Dig the soil up a bit to get things going. If you want you can cover it with a tarpaulin. There are many compost bins to purchase and your local council may even offer a subsided one. These look smart and keep things tidy. They have an accessible door at the base to check on progress and remove finished compost. If you’re feeling flash look into compost bins with a handle that turn like the tombola raffle. This reduces the need to turn the heap with a spade. I like this type a lot. You’ll need to put a spadeful of soil in with the waste as it won’t be touching the earth below. A hot composter – get you with your fancy set up! Hot composters, you’ve guessed it, heat waste and this means it cuts down enormously on composting time. Standard heaps can take six month to a year to decompose fully, but hot composters can be done in a month. The down side is they use electricity and are pricey. They can be! Worms will naturally crawl up from an open base as they are attracted by the decomposing greenery; they help break down waste and clippings into beautiful compost. If you’re short on space, have little garden waste, or fancy an unusual pet you can set up a wormery. This produces smaller amounts of nutrient rich compost in soil and liquid form. Composting worms are different to the ones you find in soil. They have names like Tiger worms or Red worms depending on the seller. Womeries are easily bought online or at a garden centre. They usually have two compartments; one for the waste and worms then another that fills with the liquid compost. You add kitchen waste to the worm room, but not onions – they hate onions, and let them eat away. Once it’s full of compost you need to separate the worms from their compost before starting again – usually just lifting out the first few inches of compost will catch all the worms. Most green waste is compostable but getting the right balance is important or you’ll end up with a smelly heap that does nothing. Aim for 25-50% soft green and fill the rest with woody brown items. Having too much green or brown waste stops the easy breakdown of your compost. Green waste feeds microorganisms and woody waste, whilst eventually feeding the organisms too, provides the proper air and drainage. If you want to speed up the process or don’t have enough ingredients to maintain the right balance, use an activator. Activators taking the place of green waste contain nitrogen and brown waste activators contain carbon. Bits to leave out of the heap are meat, fish, dairy, cooked food, pet litter, nappies and perennial spreading weeds such as creeping buttercup and bindweed, which are virtually indestructible and simply re-root from every single chopped stem. If self re-generating perennial weeds were human-sized we’d be in big trouble. Also leave out any diseased plants like box blight trimmings or infected rose prunings. Adding lime is unnecessary, it’s an old wives tale that tips the delicate balance and causes problems with soil pH. Put a 30cm layer of woody waste at the bottom to help air circulate. Shred the bigger stuff to help it break down. Then add the right ratio from the lists above being careful not to put too much green or brown in at one time. For example, dumping all your lawn clippings in one go will smother and suffocate the pile. After a few days or weeks, depending on the temperature, your compost heap will begin to heat up. This is a natural process as everything decays and decomposes. After a few weeks you’ll need to turn the pile, mix the contents or turn the handle. This prevents compaction and lets the air circulate. Air is important as it dries out soggy conditions and lets the organisms breathe. Turn your compost every month and asses the moisture levels. If it’s really dry spray it with a hose but don’t soak it. You’ll know it’s ready when the compost is dark brown, crumbly and smells rich. In perfect conditions with regular turning it can take as little as 2-4 months for home made compost, but usually it’ll take 6 months or up to a year if the brown ingredients aren’t shredded first. If you’re desperate for some compost try using a garden sieve to access the finer pieces and replace the larger bits that are still decomposing. The best compost is produced when all the waste is piled up in one go, but this can’t really happen in a standard garden, so you may find yourself sieving out useable compost. There’s no problem doing that. Did you turn it? Failing to turn the pile on a regular basis means it’ll take years to decompose. Turning it regularly lets in air, which is very important to decomposition. You do have to put in some effort! If it’s been turned regularly check the ratio of your brown and green waste. Remember green waste, including grass and kitchen scraps, should be around 25-50% of the heap. Or perhaps there’s too much brown waste – either way try to correct the balance. Use an activator if you haven’t enough waste lying around. It may also be too dry. Hose it down and see if that kick starts the process. Compost has no disagreeable scent, so if yours stinks it’s got too little air and too much water. Hold off on the grass clippings and cover the heap with a tarpaulin if you aren’t using a bin. Add paper, straw or wood chip to correct the problem and make sure you don’t add any meat, dairy or cooked food. Turn it over regularly to help dry out the layers. Once the smell has gone you can start again – properly this time! Its Taking Forever – Where’s My Compost? Patience! As with all aspects of gardening it takes time to create something wonderful. Try cutting up garden trimmings preferably with a garden shredder as this means it’ll take less time to turn into lovely compost. All creatures will want to take advantage of your compost heap. You can’t blame them. It’s cold and dangerous outside, and compost heaps in the process f breaking down are always a few degrees warmer. Rats and mice enjoy helping themselves to kitchen waste, so cut down on this. They can be persistent, chewing and digging their way through wood or plastic coverings, but neither rats nor mice like wet living conditions. Hose your pile down each day if you have unwanted rodent visitors. If you’re adding lots of kitchen waste cover the heap or make sure the lid is on properly. Well managed compost heaps don’t attract flies as they tend to live on meat and animal waste. You can’t stop bugs getting in the compost and neither should you want to! One of my favourite animals, hedgehogs are in rapid decline. If you have just thrown lots of garden clippings on the compost heap a hog will think it’s a 5 star hotel. They’ll also be attracted by the beetles and insects. Get a hedgehog house and put it nearby instead. A more unusual visitor are grass snakes. They lay eggs in warm compost as it helps hatch out the little ones. If you find eggs leave them alone because grass snakes are protected. It’s not likely you’ll find them unless you live in the countryside. Slow worms are not worms and they aren’t snakes either! They are cute little lizards that like the cosy warmth of decomposing compost. Regular turning of a compost heap discourages animals from making it their home because they don’t like being disturbed, so don’t neglect this essential piece of maintenance. Of course, choosing a compost bin cuts down on the risk of pests particularly if there’s a tightly fitting lid and it fits snugly to the ground. Be careful when pushing in a fork to turn the pile and give any creatures a chance to escape. 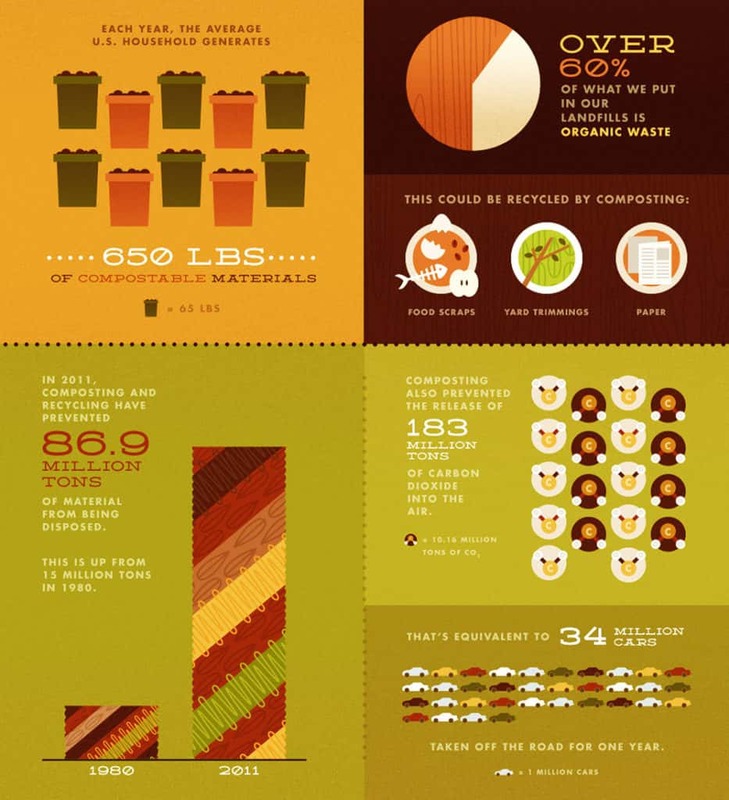 So there you have a guide to composting. I’ve tried to keep it simple because gardening shouldn’t be difficult and anything that supports the environment is good by me. Compost heaps are the ultimate source of free nutritious compost, a great way to rid yourself of much biodegradable waste and it supports our eco-system. Wave goodbye to those plastic sacks of shop-bought compost, the composting revolution is here.